Hotwire is a leading travel site that specializes in offering discounted prices for hotels, vacation packages, rental cars and flights. Save up to 47% on select Austin Hotels. Get 54% Off 4-Star Hot Rate Hotel in Seattle, WA for $86 per Night. Hot Rate Get up to 61% off per night stay at Houston, TX. Visit site for details. 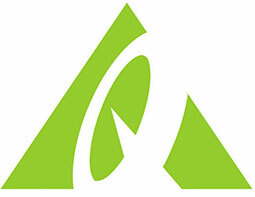 Get up to 60% off 4+ Star Hot Rate & registered Hotels! Exclusive Summer Deals! Get up to 52% off Hotel booking + Resort Credits, Kids Free, Complimentary Golf and so much more at Punta Cana Top Resorts. Get 54% Off 4-Star Hot Rate Hotel in Boston, MA for $69 per Night. Hot Rate Economy Cars from $10.99 a day! Save Up to 50% on Hot Rate Cars. Flight deals from Los Angeles to Honolulu! Find deals on flights from Los Angeles (LAX) to Honolulu (HNL)! Book today! 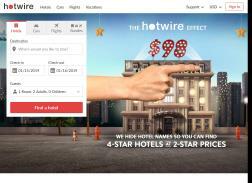 Get Hotwire Deals, Coupons, And Sales on flights and hotels. Save up to 40% on when you book room at select Hot Rate Hotels at Orlando. Flight deals from New York to Honolulu! Find deals on flights from New York (JFK ) to Honolulu (HNL)! Book today! Get up to 60% off New York hotels. Flight deals from Honolulu to Las Vegas! Find deals on flights from Honolulu (HNL) to Las Vegas (LAS)! Book today! Save Up to 41% On Washington hotels. Today’s Best Deal! Hot Rate Get up to 69% off per night stay at Orlando, FL. Visit site for details. Get Up to 45% Off Augusta hotel deals includes 45% Off 3-star Hotel in Augusta Southwest area, 40% Off 2.5-star Hotel in Augusta Southwest area or 27% Off 2.5-star All-Suites Hotel in Augusta North & West area. Get an extra $10 off Bookings On Hot Rate Cars. Limit one per user account and per car booking. Get up to 60% off Hot Rate Hotels + Extra $10 off $100 with code. Save up to $422 on flight + hotel packages. Best Las Vegas Deals This Weekend! Grab the best Las Vegas deals this weekend! Deals are updated every 24 hours. Hurry and book now!